As China's bustling capital and among the country's largest gateways to the world, Beijing stands out for its sheer importance. But amid constant blankets of smog enveloping areas coping up through pristine gardens and streets kept clean, the city defies singular notions. 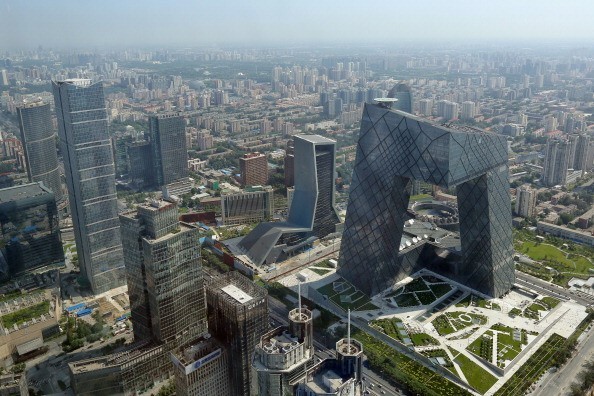 Perhaps one would best understand Beijing's stature as among China's world cities through the presence of foreign brands dotting its massive shopping centers. From regular fare like Adidas and Converse to high-end ones like Gucci and Louis Vuitton, the city practically has it all. Still, amid the frenzy over shopping malls, many of which take on the dynamic of clear air indoors amid the smoggy outdoors, traditional vendors continue to ply their trade along Beijing's streets. Traditional souvenirs and counterfeit goods sum up the diversity to which these vendors have been accustomed. As people walk around outside with face masks on, they get to experience a trash-free experience on the streets, one that no longer wishes to compound the massively polluted air circulating Beijing. Street sweepers make sure that the streets are clean with their brooms on hand. Adding to Beijing's charm as a paradoxical wonderland is the existence of sizable and well-maintained gardens around the city center. Alongside people practicing their daily Tai Chi sessions are soldiers guarding the common areas--one that conjures cleanliness and security amid choking circumstances. Beijing is swathed in both modern facilities and ancient wonders. The Forbidden City, specifically, takes on a central location--a wonder for visitors to remember about the city. But structures like the National Centre for the Performing Arts, called The Egg for obvious reasons, serve as marvelous offsets. All in all, Beijing defies its outside reputation as a chaotic city of air pollution. Much can be said about the smog problem--something the Chinese government is hot on heels to address, but the outright charms the city offers makes it more than just an intriguing destination.